As a child I didn't read books. At least, I have no memory of doing so. My teacher in primary school once read to us James & the Giant Peach, and I enjoyed that, so why didn't I rush straight to Roald Dahl's other books? I don't know. 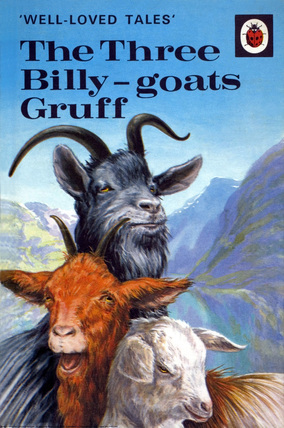 Still, it can't be true that I didn't read because, a few years ago browsing in a small shop dedicated to children's books, I found a display of Ladybird Books' Well Loved Tales, reprints of editions I recognised as part of my childhood. The moment I saw the cover of The Gingerbread Boy, involuntary memory washed over me. 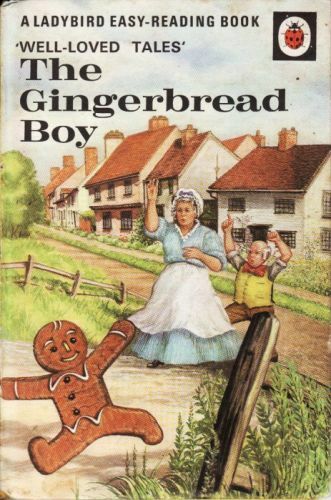 My fascination with the image of the gingerbread boy himself is particularly distinct. I can see now that he is running away but then, as a child, it wasn't so clear. I could see only a two-dimensional figure, though of course "two-dimensional" meant nothing to me. His odd way of running must have made me wonder what he was doing exactly; it didn't look like running. And why is he smiling? I'm sure I didn't know, and this is why I found it mysterious and captivating. But the distance between the content of my innocence then and my knowledge now is almost impossible to close outside of that momentary wash.
Other features in the series have a similar if slightly dimmer aura: the size of the elves against the shoes in The Elves and the Shoemaker, the presence of the pea beneath the layers of blankets in The Princess and the Pea, the contemplative demeanor of the ape in The Beauty and the Beast and the disdainful remove of the black goat in The Three Billy-Goats Gruff (which looks like it influenced the cover of U2's October). I should be clear: these are not Proustian reveries in which remote times and places merge into one, but something less grand, a fleeting sensation, a shadow of memory. I have no memory of the stories, only the images and the fascination they summoned then returns to me in placeless, wordless memory. I am now fascinated by this fascination: what is its cause? If the gingerbread boy's oddness stands out, the others are not so clear. With adult knowing one may apply Freudian analysis to the blankets, aligning perhaps with Kafka's disgust at his parents' unmade bed, but I think the explanation is much simpler: they each manifest the part of the story that writing cannot contain. That is, the fascination created by storytelling itself, the inexplicable enchantment of the imagined world. 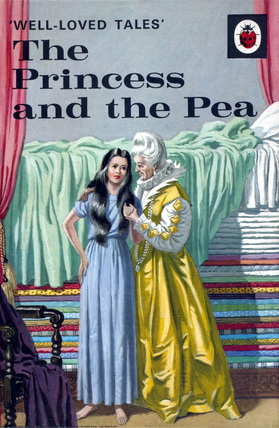 Perhaps this is why graphic novels are so popular now, and my own puzzlement at this popularity – and an inability to share in it – is due precisely to my lack of childhood reading. This is no doubt true, but I think there's a deeper reason.